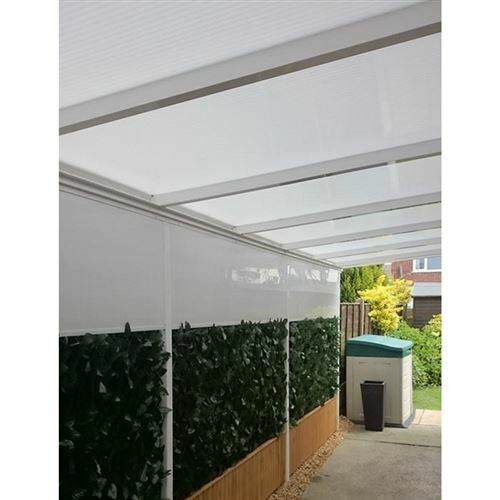 This canopy for carports and veranda's is 4.0M projection by 5.3M along the host wall, with 3 support posts and constucted with 16mm haze polycarbonate and aluminium framework powder coated white. * Strong all aluminium framework construction. 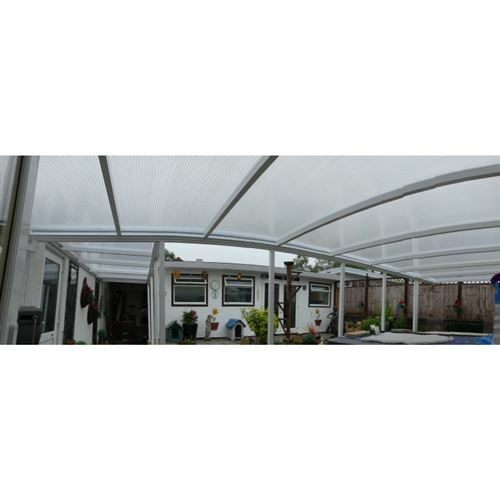 * Strong 16mm Polycarbonate haze sheets giving protection and shading. > Reduces the space required for the structure. 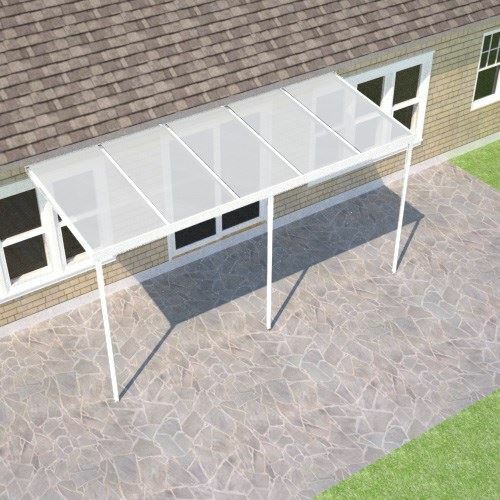 > Reduces the cost as guttering does not have to be added. 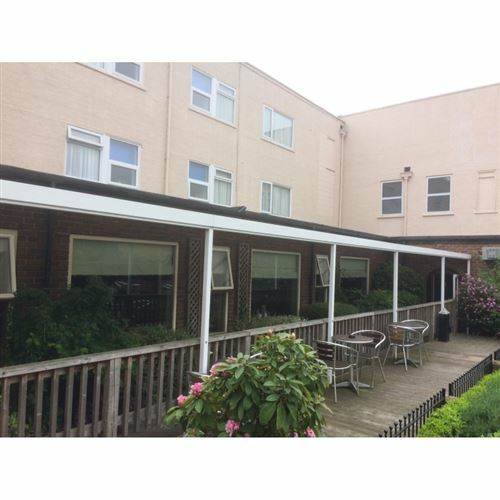 > Stops the damage of the plastic gutter and pipe in high footfall areas. * Beam can be used as a box gutter against a wall. * Bar cavities so electrics can be run internally. 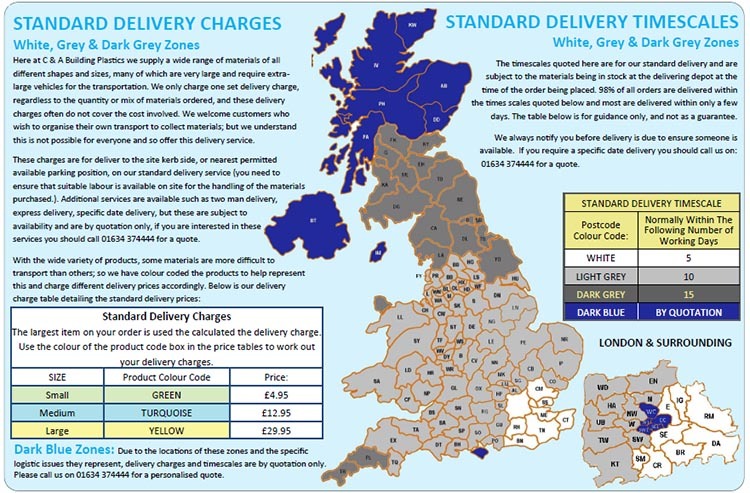 * Simple fixing systems for speed and ease of installation. * Wallplates that can be bolted together to create a ridge section, ideal for freestanding structures.